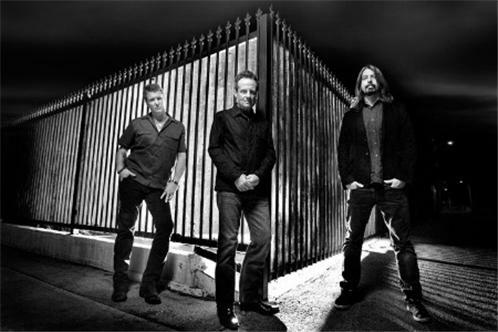 Them Crooked Vultures is a rock supergroup formed in Los Angeles in 2009 by John Paul Jones (former member of Led Zeppelin), Dave Grohl (of Foo Fighters and formerly of Nirvana), and Josh Homme (of Queens of the Stone Age). The group also includes guitarist Alain Johannes during live performances. The band began recording in July 2009, and performed their first gig on August 9, 2009, in Chicago, followed by a European debut on August 19. On October 1 the group embarked on a worldwide tour titled Deserve the Future with dates going into 2010. The band's first single "New Fang" was released in October 2009, followed by the group's self-titled debut album the following month, debuting at number 12 on the Billboard 200. The group won the 2011 Grammy Award for Best Hard Rock Performance for "New Fang".